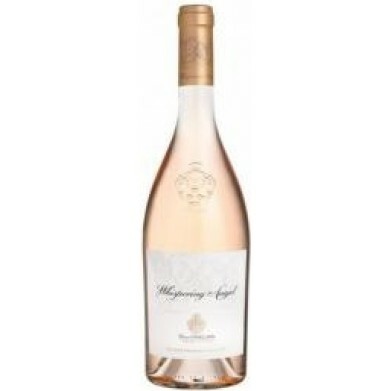 CHATEAU D'ESCLANS WHISPERING ANGEL ROSE for only $19.79 in online liquor store. Grapes grown from some of the most choice land in the surrounding region of La Motteen Provence, consisting primarily of Grenache, Rolle (Vermentino), Cinsault, Syrah,and Tibouren. Harvesting at sunrise to noon. Optical grape sorting. Destemming and slight crushing at 7-8?c to avoid oxydation. Both the free run and pressed juices are vinified in stainless steel. "B'tonnage" is twice weekly. Temperature controlled.